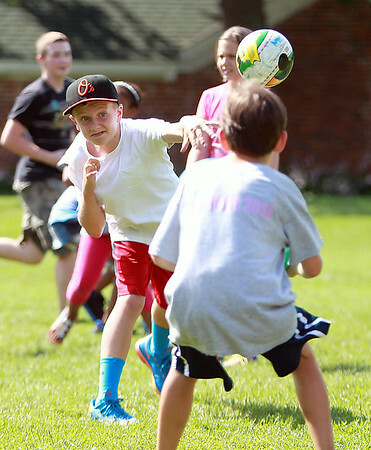 Artworks at Waring camper Nick Woods, 13, of Beverly, hurls a bouncy ball at an opponent while playing dodgeball on Thursday afternoon. DAVID LE/Staff photo. 7/17/14.